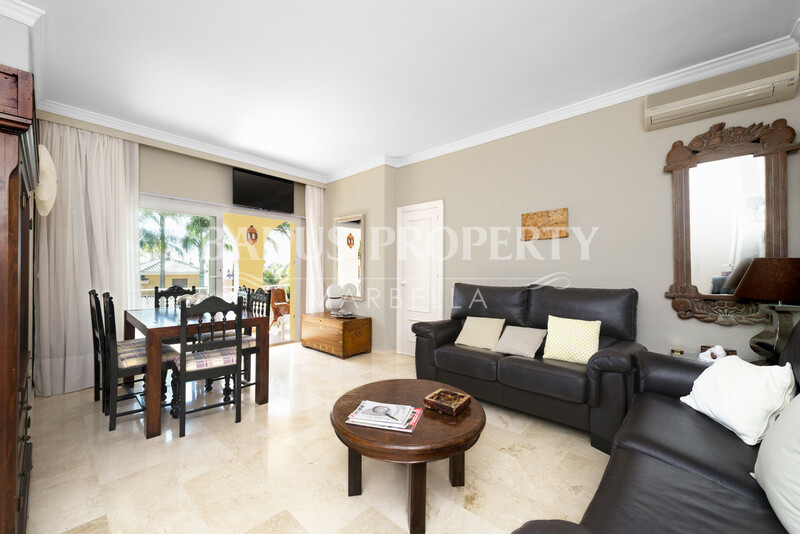 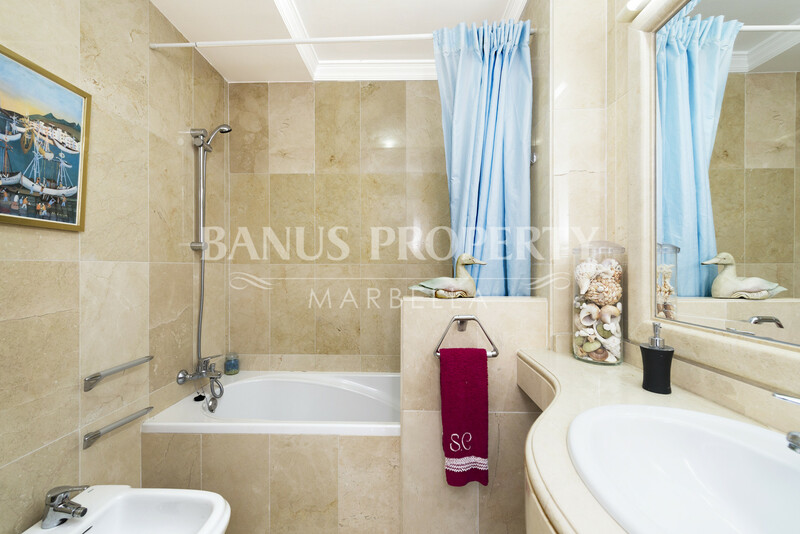 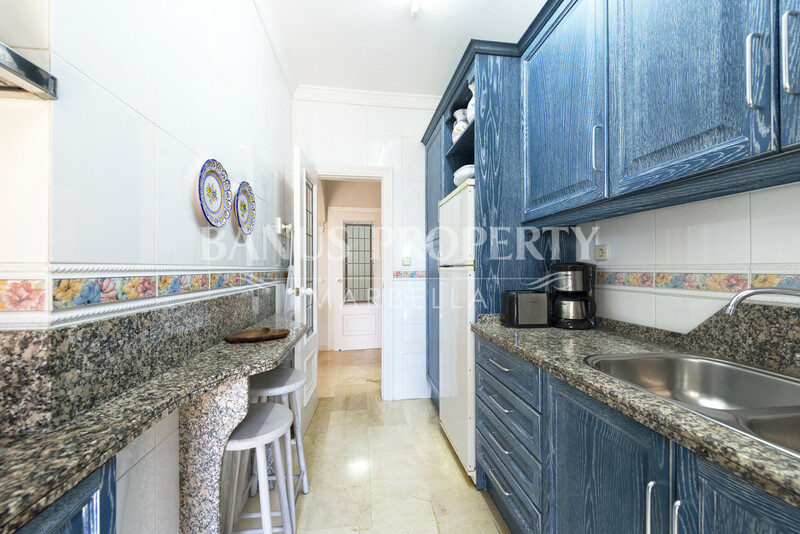 Situated within walking distance to the beach in a private gated residential complex at the most western end of Puerto Banus, this charming two bedroom ground-floor apartment is definitely a great option for those seeking a beachside holiday home or permanent residence. 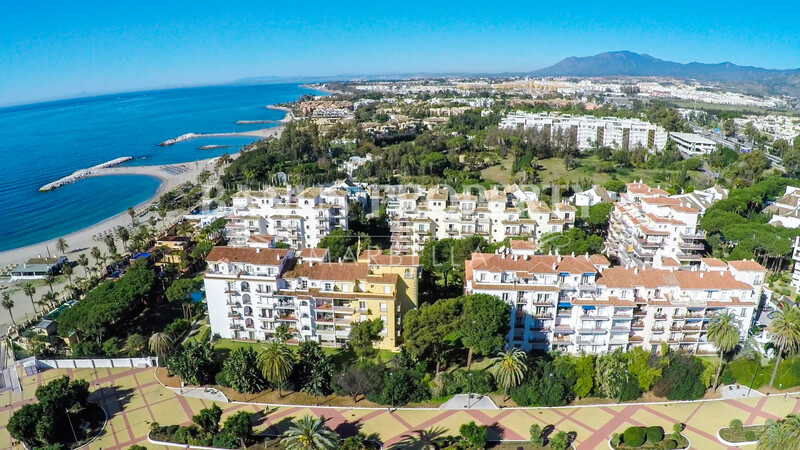 The western of Puerto Banus is considered as the most quiet and tranquil area of this exclusive marina, separated by just five minutes’ walking from the international restaurants, vibrant bars and cafes, designed boutique stores can be found in this worldwide famous destination. 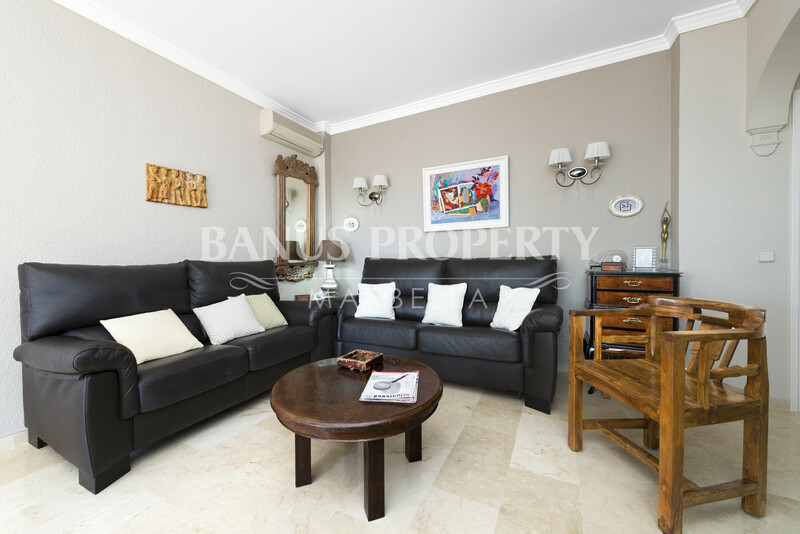 The apartment, which originally consist of one bedroom, was converted into a two bedroom apartment by the actual owner who also renovate the interior of the apartment. 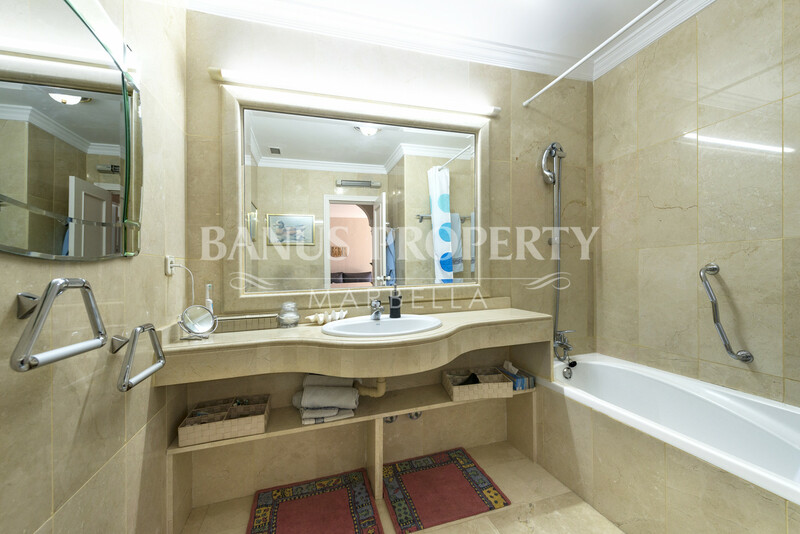 These bedrooms are sizable and both have exquisite bathroom ensuite. 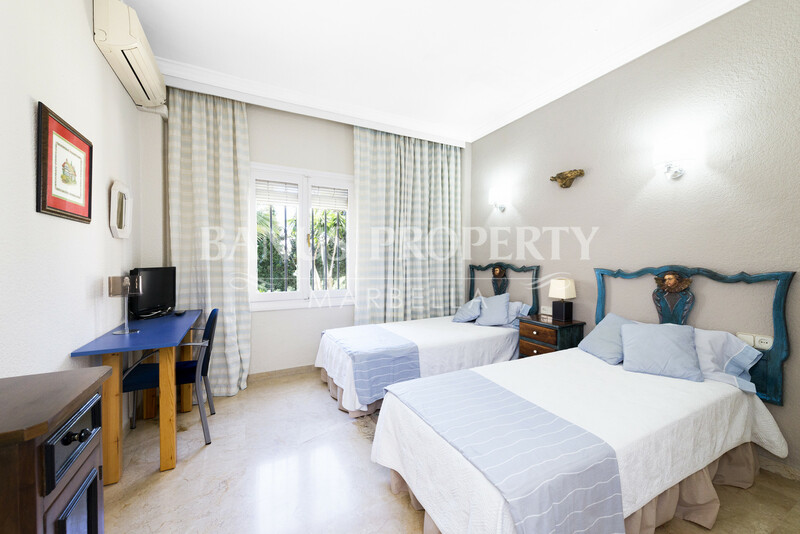 Further, the master bedroom enjoys also of direct access to the main terrace. 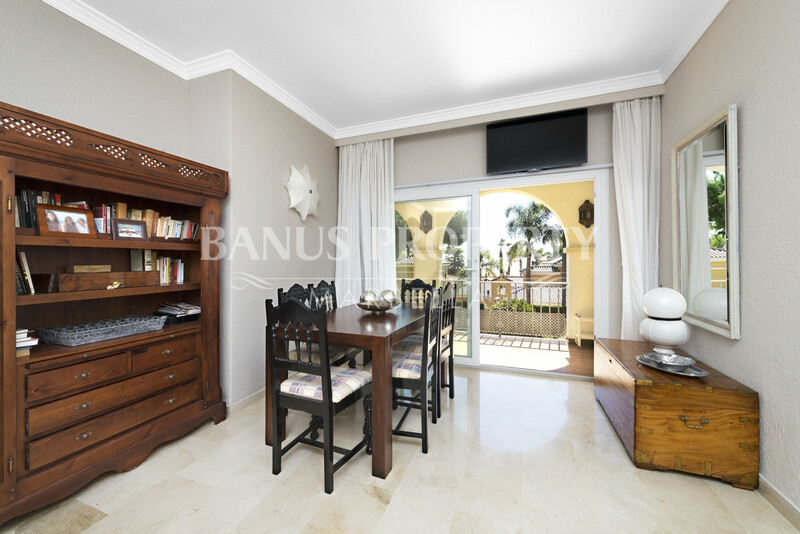 There is also a fully fitted kitchen with breakfast bar and an ample lounge with dining area which has access out to a broad south facing terrace blessed with partial sea views. 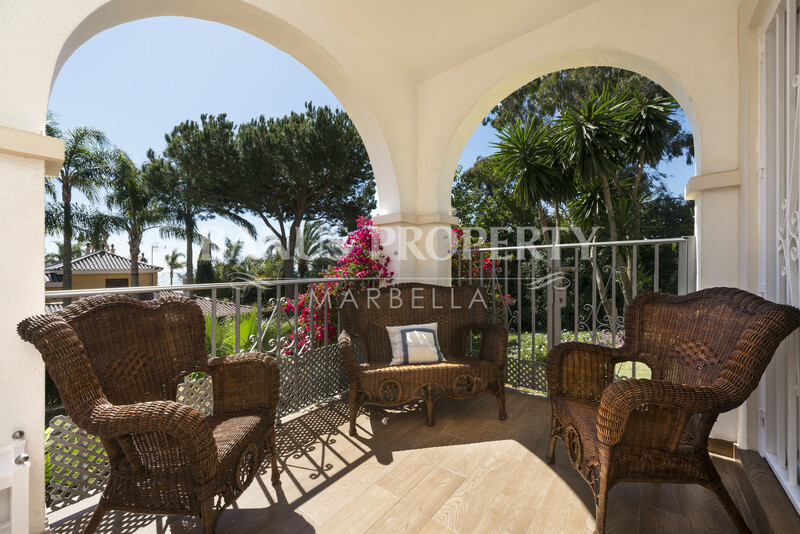 This terrace features the perfect spot for dining and relaxing al fresco. 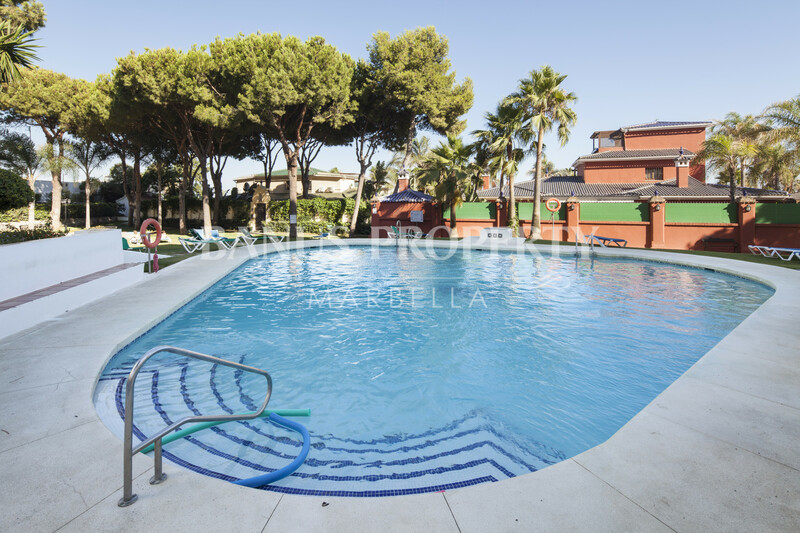 The on-site facilities of the complex include two outdoor swimming pools and wonderful community gardens for the exclusive use of owners only. 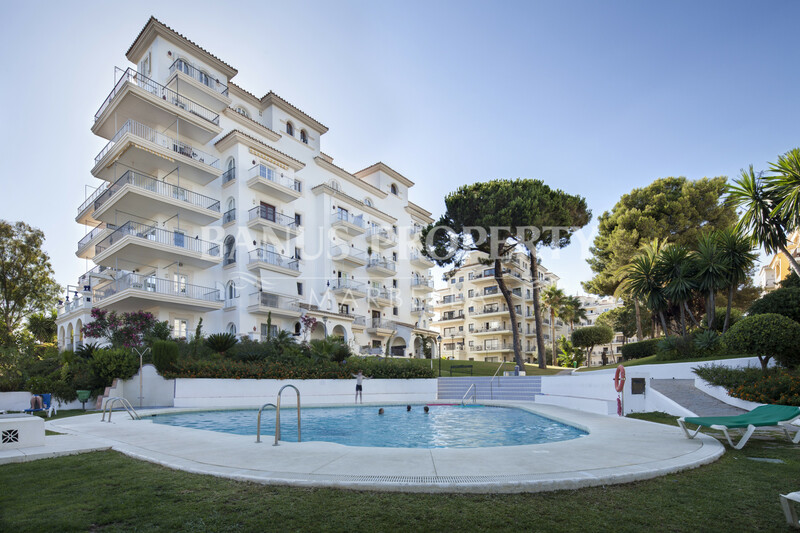 Please, send me more information about ref 264-00271P, Ground Floor Apartment in Andalucia del Mar, Marbella - Puerto Banus or similar properties.